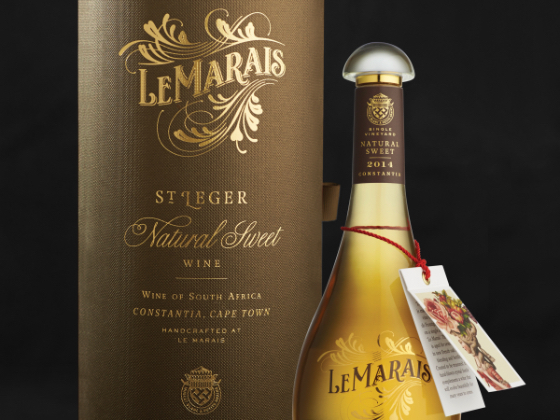 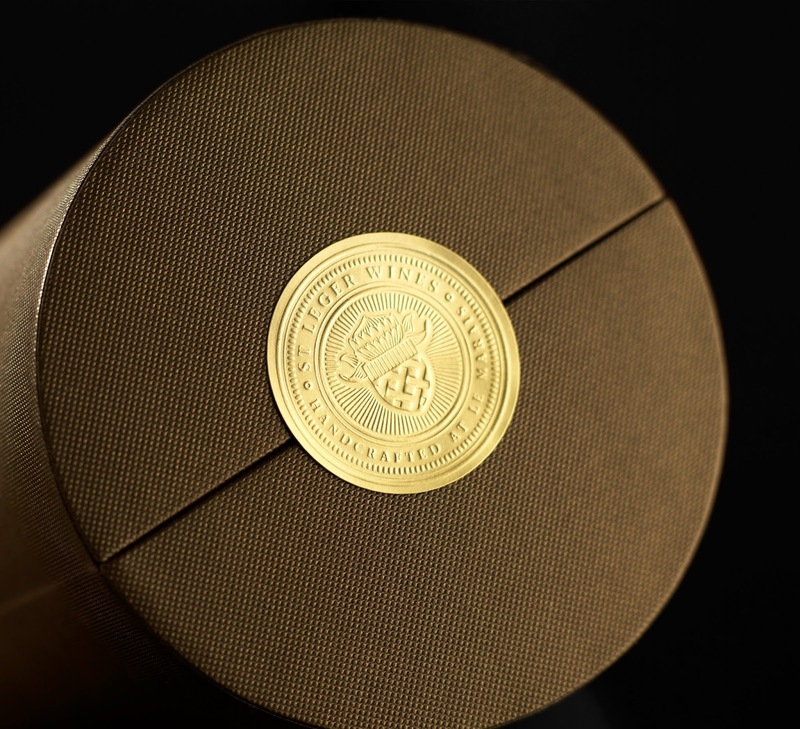 Designed by Manifesto Design, Le Marais Natural Sweet by St Legers Wine is the second edition of this project. 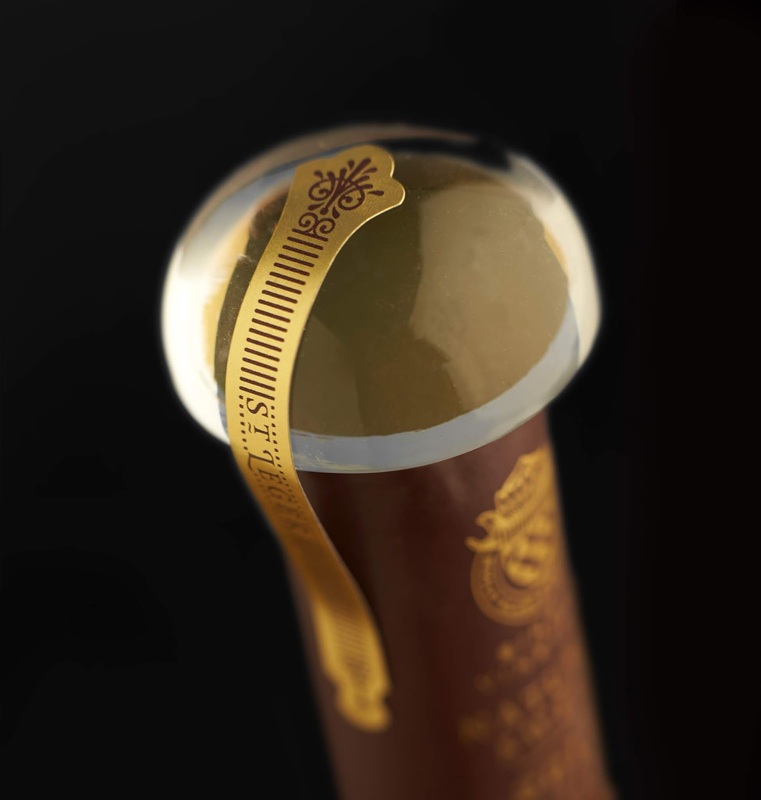 Le Marais now features a bespoke bottle and glass stopper, and a cylinder casing that's specially designed to firmly hold the uniquely shaped bottle in place. 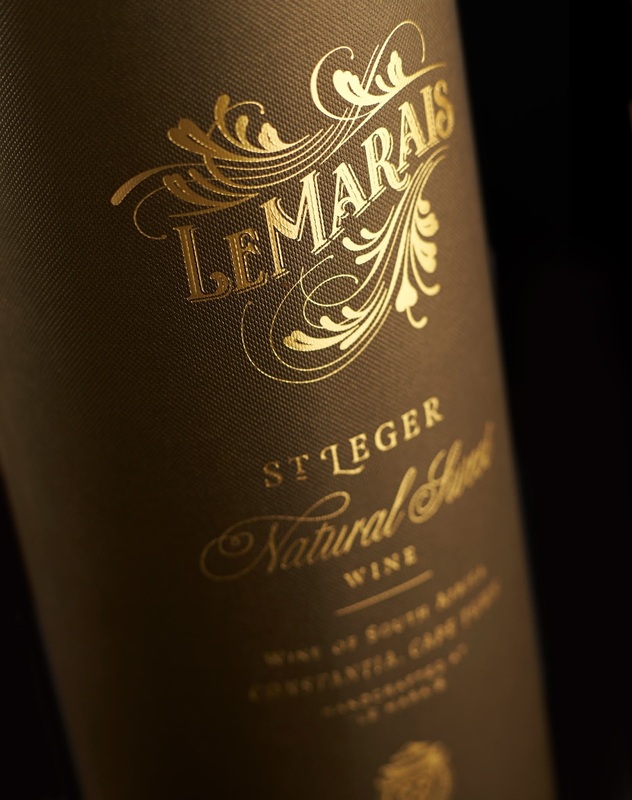 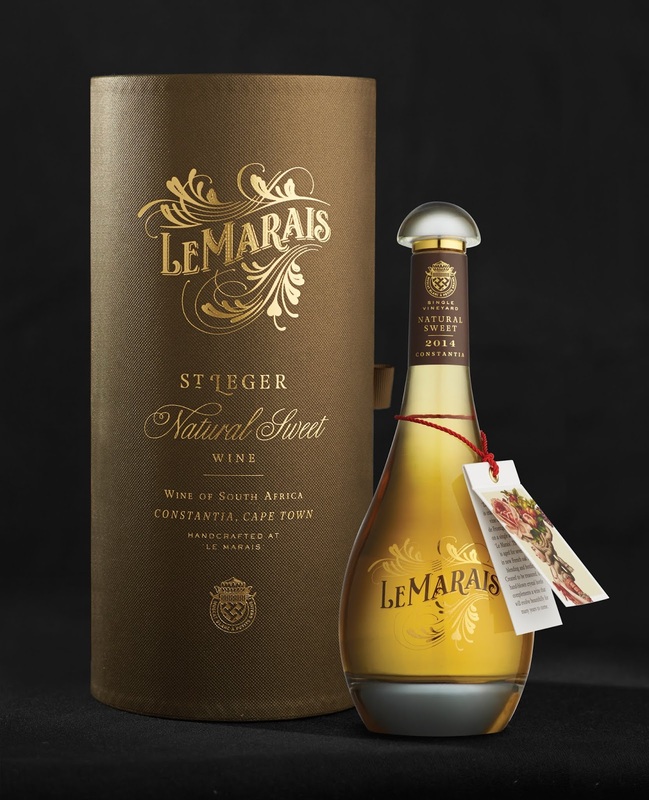 Le Marais is a natural sweet dessert wine from south Africa. 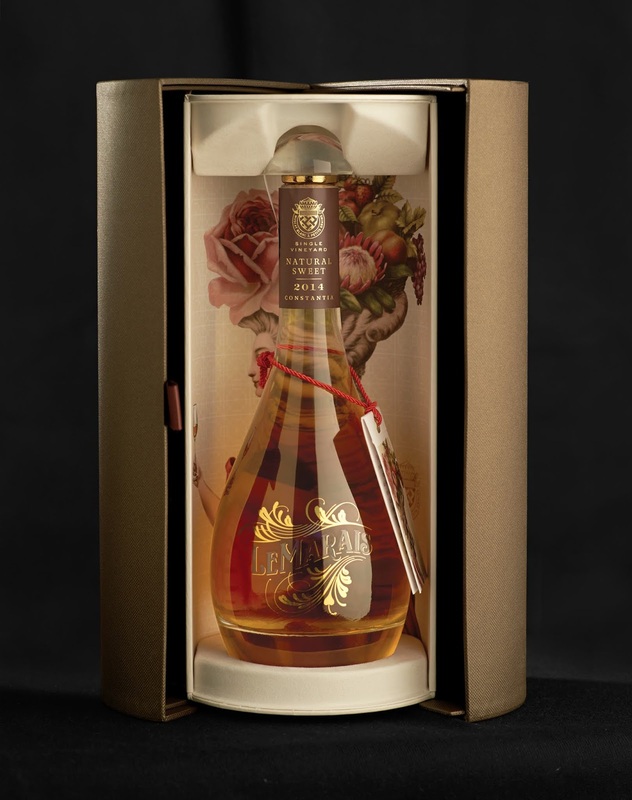 This wine style was coveted in eighteenth-century French royal courts, so the bottle pays homage to the elaborate ornamentation of the time. 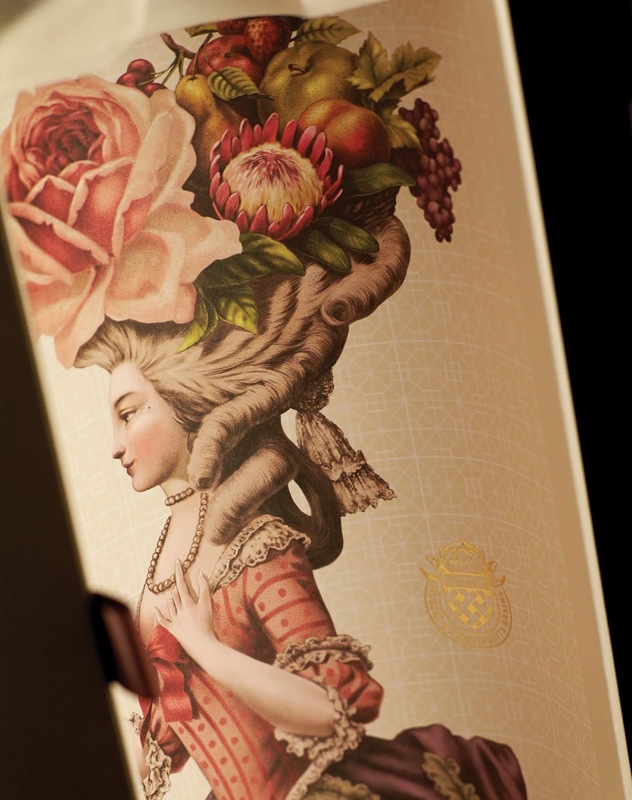 Wine tasting notes are often very descriptive, so the fruit and flowers depicted in the lady's head-piece refer to the perfumed floral notes and ripe fruit flavours of the wine. 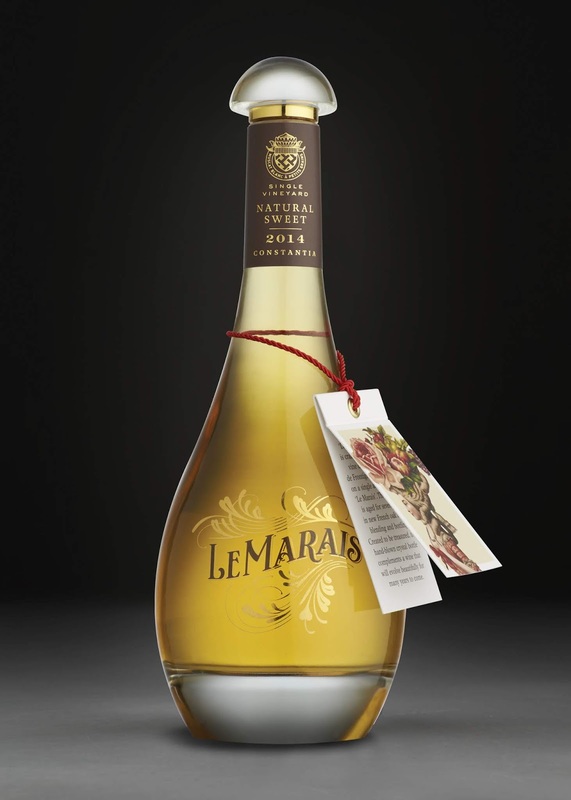 The original version of Le Marais label featured the illustration prominently on the label, however the hero of the design is now the bottle. 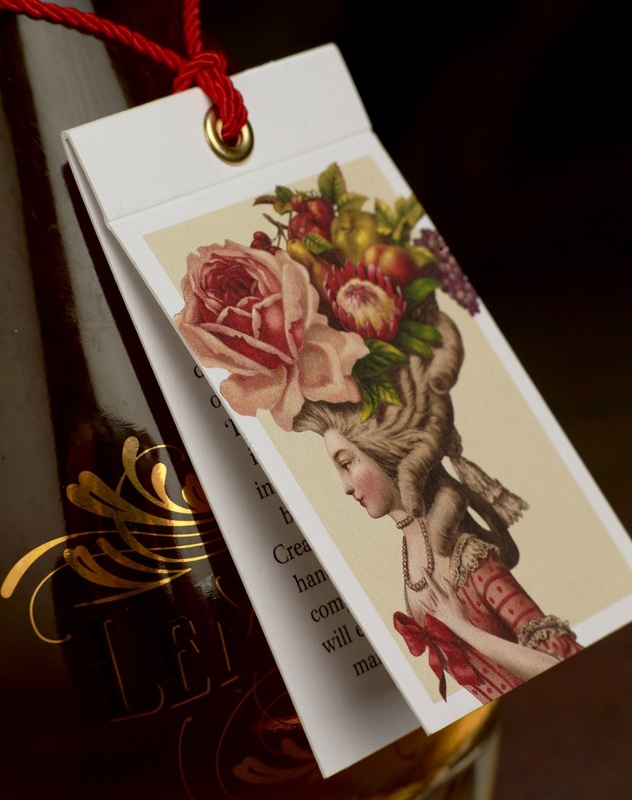 Instead, the lady appears as a decorative backdrop behind the bottle when the cylinder is slid open and on the swing tag for when the bottle is removed from its casing. 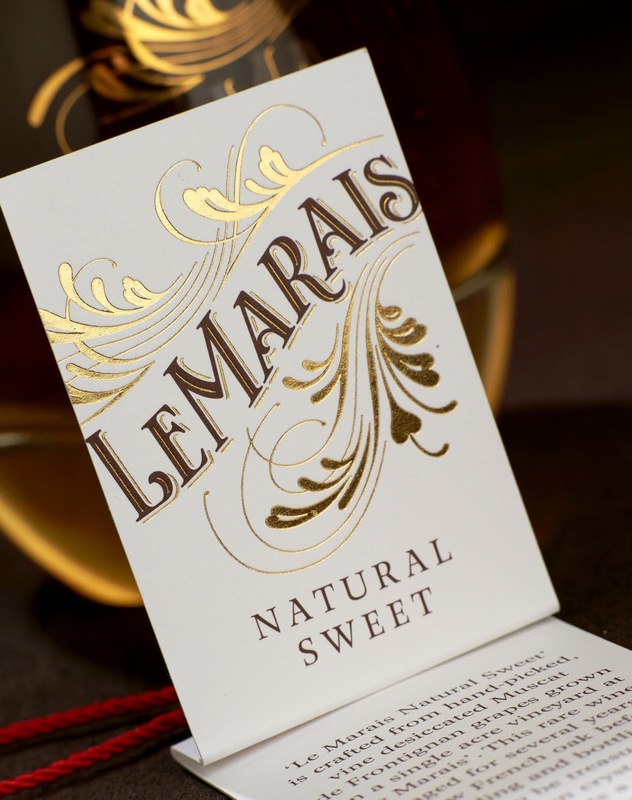 The final result is something truly special and takes Le Marais to a whole new level.